100 Billion Dollars. The video games industry is now clearly the largest entertainment sector, far beyond music and even Hollywood movies. It is composed of Mobile, PC and Console markets currently in roughly equal measure, now generating over $100b of revenue every year worldwide. There are many different genres of video game from First Person Shooters to arcade games, puzzles, simulations, creative, management and massively multiplayer online role-playing games. Innovative media and gaming technologies are creating new careers in entertainment, new occupations, establishing gaming communities and forming friendships around the globe. These new professions include “Casting” (commentating) for online eSports events, Twitch streaming, YouTube content production, community management and chat-show hosting around gaming content. As part of our research in the Atos Scientific Community we have been looking at how media and entertainment will evolve, introducing new interactive narratives. I want to focus on one particular open sandbox game which is providing the ability for players to collaborate and interact; and is a platform for storytelling: Frontier Developments’ Elite: Dangerous. Image Credit: CMDR Divergents; Exploring in Elite: Dangerous by Frontier Developments. 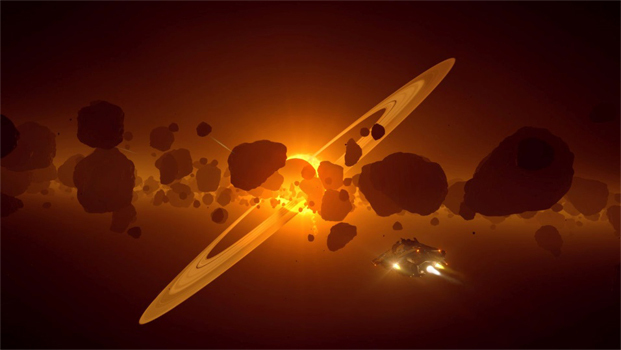 Elite: Dangerous is set in a 1-to-1 procedurally generated recreation of our own Milky Way galaxy with over 400 billion star systems modelled using real physics. There are spectacular vistas, gargantuan suns, gas giants, black holes and planets that you can land on in your fleet of space ships. You can choose to trade, be a pirate, a miner, bounty hunt or explore … all alongside (or against) other players who are flying around in space ships of their own. David Braben OBE, the CEO of Frontier Developments, has (at least) a 10 year plan for this 4th game in the franchise; the first of which being the original Elite, released in 1984 (coded by Braden and Ian Bell). This 10 year plan means the game is ever evolving with new features, but also with a developing storyline. Indeed there are many intertwining themes that are engaging the 3 million or so players, or “Commanders” (written CMDR in game), who play on PC, Xbox and PS4. This evolution is important. The game has not simply been written, released and forgotten by the developer. It is maturing and with that taking its players on an engaging journey. It is also, without doubt, the most immersive VR experience I have ever had. 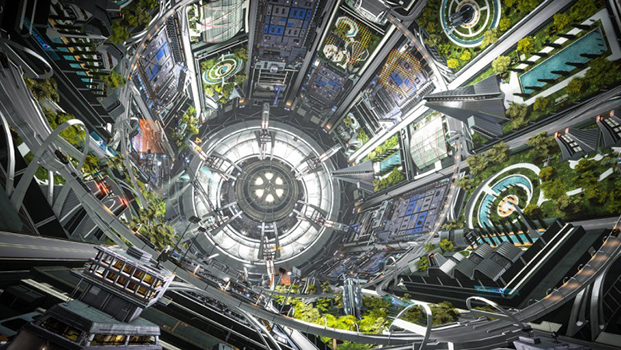 Spectacular Space Stations provide news (narrative) delivery facilities to the players amongst other services. One significant plot that developed over the course of the first couple of years surrounding the release of Elite: Dangerous is regarding an area of space called the Formadine Rift. Author Drew Wagar introduced this in his officially licensed book Elite: Reclamation which was published a little before the release of the game. Before we get to that though, a significant part of Wagar’s story takes place in the Prism system, a location that can be visited in game. Actually seeing the four suns and various planets of the Prism system in the game really brings Drew’s vision (and story) to life, and the cross-over between the book and video game mediums promotes and reinforces both formats. It’s not the only example - there are several other books, some with similar related locations in game. Each of these publications had been approved by Frontier to ensure it aligns with the official lore of the game. This written form all echoing The Dark Wheel, a novella which accompanied the original Elite. The mystery of the Rift developed through in-game news stories, puzzles and player interaction. Teams of commanders would hunt for months on end, combing the galaxy for its elusive whereabouts. Eventually, after years of searching, The Zurura mega ship was eventually found, in the Formadine Rift. The events and fate of the ship recorded in the ship logs - brought to life by talented voice actors working for Frontier. Personalities from the Reclamation book entered the lore of the game, and in particular Lady Kahina Tijani Loren, also known as Salomé, one of the complex central characters that captured the hearts of many commanders became a focus. Salomé could be found flying around in her ship giving various clues to those who interacted with her. In reality this was a player account, controlled by Drew himself. The game became the ongoing media distribution mechanism for the unfolding Wagar story … taking the book beyond its original static pages. Many threads of this story ultimately combined … culminating in an in-game event during the spring of 2017; almost three years after the book’s publication. Thousands of CMDRs participated in a chase across a region of populated space. Salomé and her colleagues attempting to reach a specific destination, with legions of CMDRs protecting her, but others wanting her destruction. Many players were broadcasting their gameplay on Twitch (a real-time video streaming platform) so that others could follow their progress. The game of cat and mouse took several hours to play out. Tragically, a player in the game managed to blow Salomé’s ship up during the event, so very close to reaching her destination. Stunned CMDRs were silent in disbelief on the Discord and Teamspeak communication servers being use to coordinate protection activities. There was confusion, and the hope that misinformation was being spread. Wagar, however, confirmed on social media that Salomé … was dead. 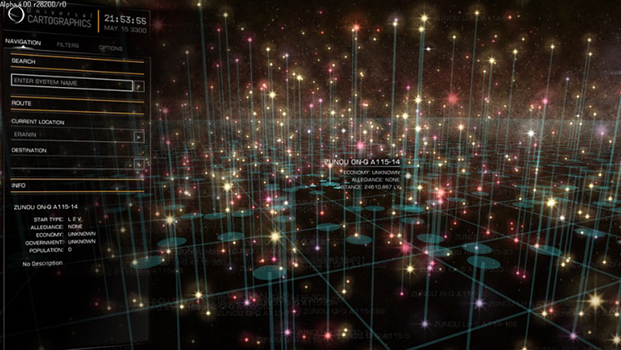 Over 400 Billion Star Systems: It would take thousands of years for the current player base to visit every one. Even after 3 years less than 0.1% has been visited so far. Throughout 2017 it was known that Frontier had commissioned Drew to write a sequel to Reclamation – this would materialise in the summer as “Elite: Premonition”. This time chronicling the events of the galaxy as the actions of CMDRs moved the narrative forward in the Elite universe. Evolving earlier storylines, and reporting the achievements and discoveries of specific CMDRs and player groups, the narrative leapt back from game to book format. The Salomé tragedy providing a fitting climax. This is but one example captured from a rich Elite tapestry. Canonn research, a player group dedicated to “Science”, has teams working on the many puzzles hidden within the game by the developers. Using spectral analysers to extract diagrammatic clues from in-game audio; cataloguing and decoding scenarios; performing experiments; testing alien machines. Many other player groups, with many other stories contribute to the ongoing narrative. Tales of epic rescues of CMDRs in trouble. Remote rendezvouses. Heinous crimes. 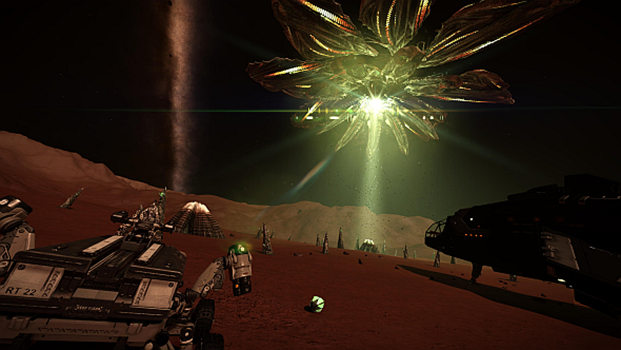 Space is a dangerous place – especially so in Elite: Dangerous. Several (real world) Internet radio stations provide updates and entertainment from the Elite universe in yet another media format to entertain us whilst we “supercruise” to our next destination. And if you want to catch up at a later point there are podcasts too. YouTube content creators provide commentary on development of the game, with the latest new features and in-game events. Others create innovative entertainment materials – including their own stories, comedy and simply stunning panoramas set to music. And CMDR Wotherspoon reads the GalNet news, so you don’t have to. Story-telling is transcending media formats. It’s becoming more interactive. It’s becoming more personal. And you are now creating the narrative. I find it interesting how all of these different media outlets enable the passive consumption of information for those who want to receive it in this way, through to the active interaction with it … and indeed its creation. On occasion events in the game have reached traditional media too. I have mentioned in this piece many different social, collaboration, traditional media and broadcast platforms used in forwarding the narratives on top of the video game itself. A vast swathe of useful tools has also been created to enhance the experience and support the many player communities. This is the future of media. 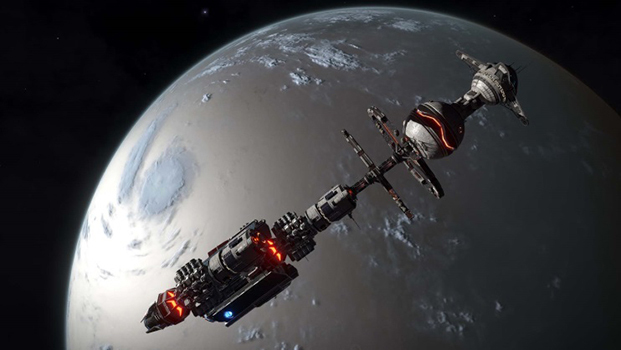 Frontier Developments and Drew Wagar have begun to capture it in their joint efforts ... together with all those who are participating in Elite. I look forward to seeing where the story goes next.